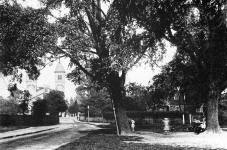 1841 1st church built. 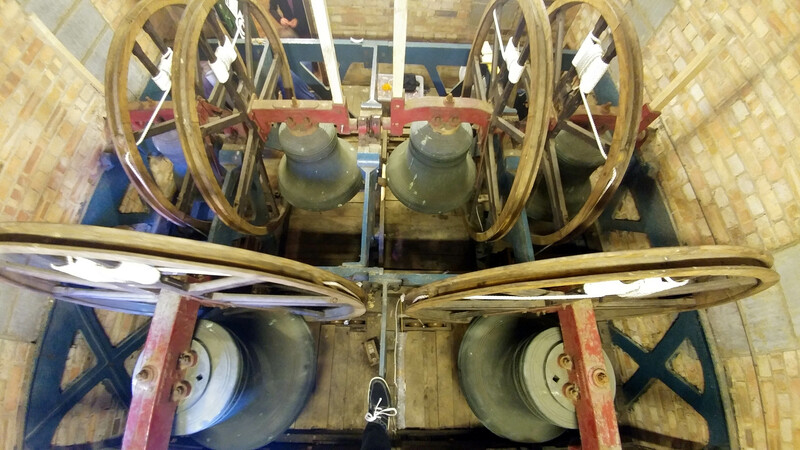 It had twin towers. 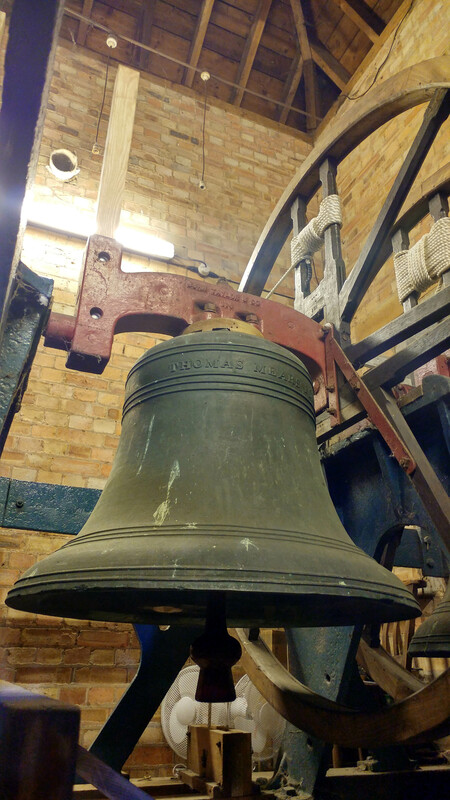 1843 12th Oct. 4 bells were cast at Whitechapel, invoiced on this day. 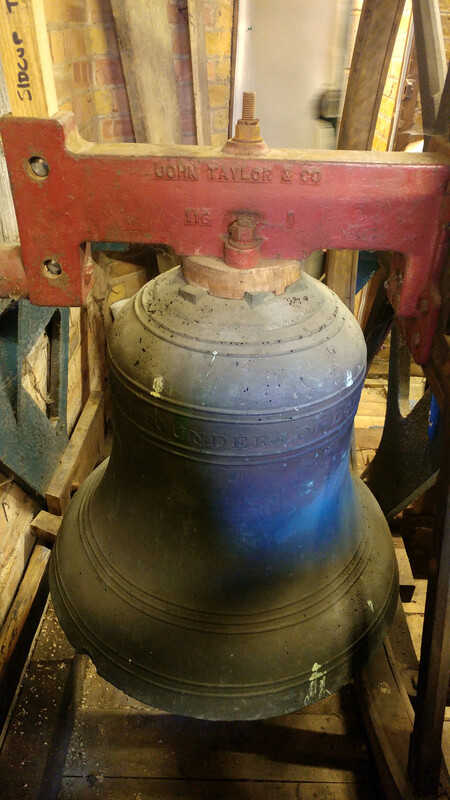 These formed the back 4 of a future ring of 6. 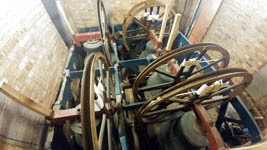 The 2 trebles were cast a 3 months later. 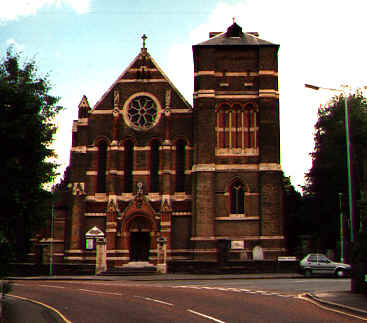 Parish created from St Nicholas, Chislehurst. 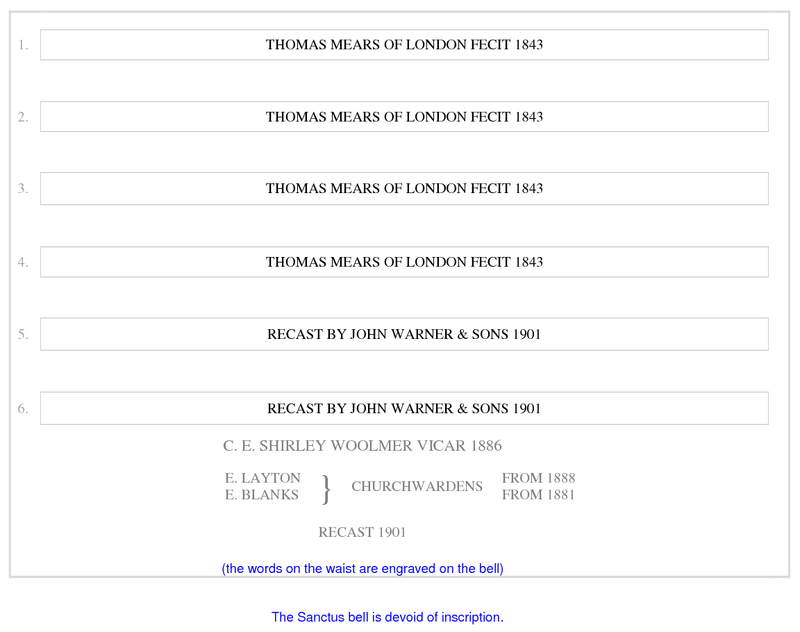 1844 13th Jan. 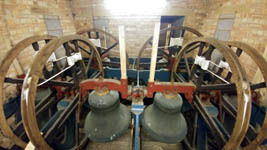 The 2 treble bells were invoiced at Whitechapel. 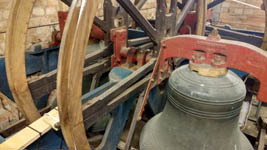 1887 In his book "Church Bells of Kent", Stahlschmidt recorded 6 bells: 1 and 2 by C & G Mears dated 1844 with the remainder by Thomas Mears 1839. 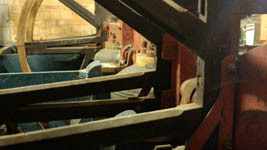 This is surely an error! 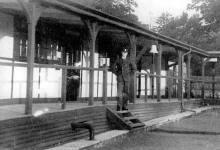 1898 Everything except the sanctuary was demolished. 1899 - 1901 Present church built by 1899-1901 by Fellowes Prynne - it used to have two towers although one was demolished to extend the church. 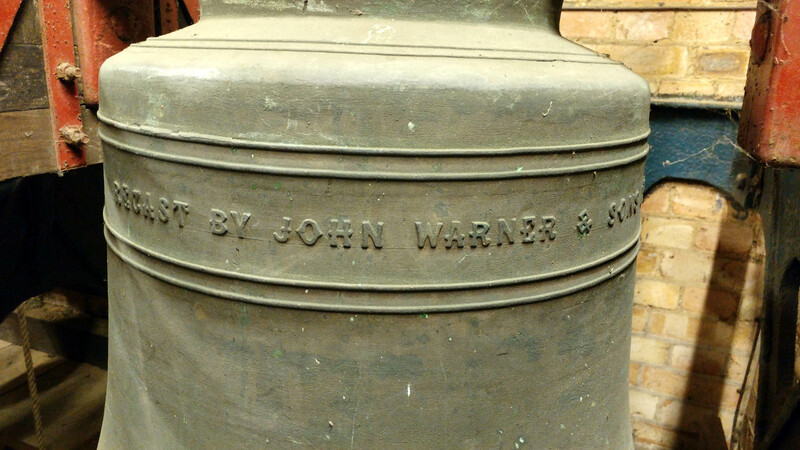 1901 The back 2 bells were recast by John Warner, and all the bells were rehung in a new frame. 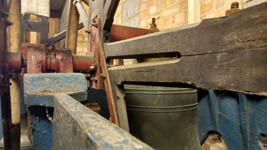 The new nave in the church was dedicated on 13th July. 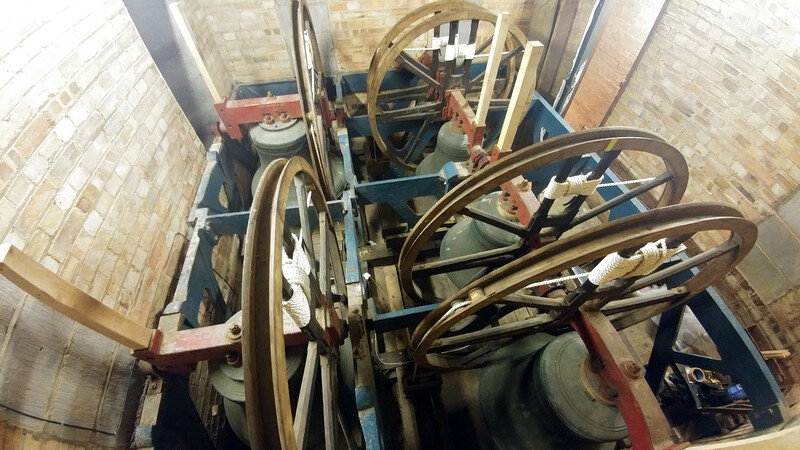 1950 Bells retuned and rehung by Whitechapel. 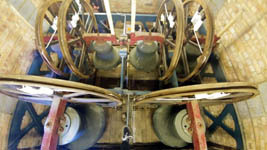 c 1973 In the early 1970s, an appeal was launched to rehang the bells and augment them to 8. This plan was never fully realised. 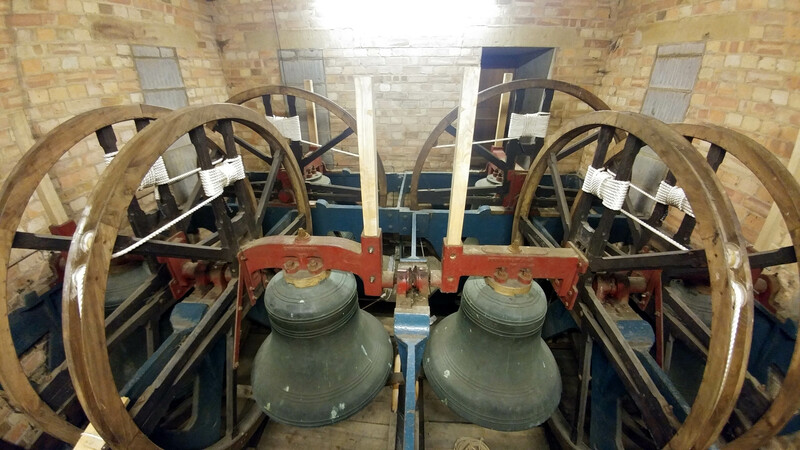 1974 Bells rehung with new fittings in the existing frame by John Taylor & Co. Queen Mary's Hospital chapel in Sidcup closed. 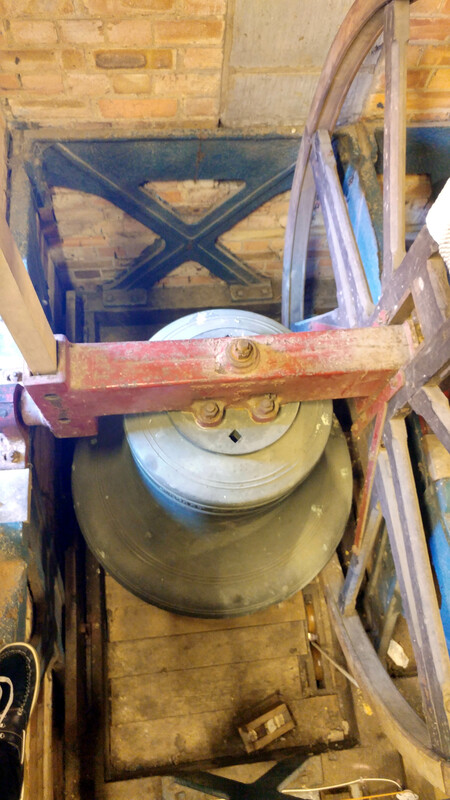 Peter Dale, Tower Captain of the time writes: "The late Revd Stanley Allen was vicar at the time and he went to the site to negotiate the bell's rescue. The contractor refused to let him have it as he'd allowed for the scrap value in his budget. In the event he kept it for himself and installed it in the turret over his stables, but no sooner had he done so than the building was struck by lightening. 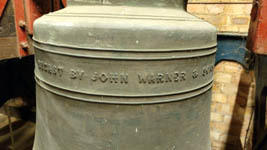 That rather gave him the jitters so he pleaded with Stanley to take the bell away." The bell was hung in a new timber frame constructed and donated by local ringer and builder, Bill Belsham. 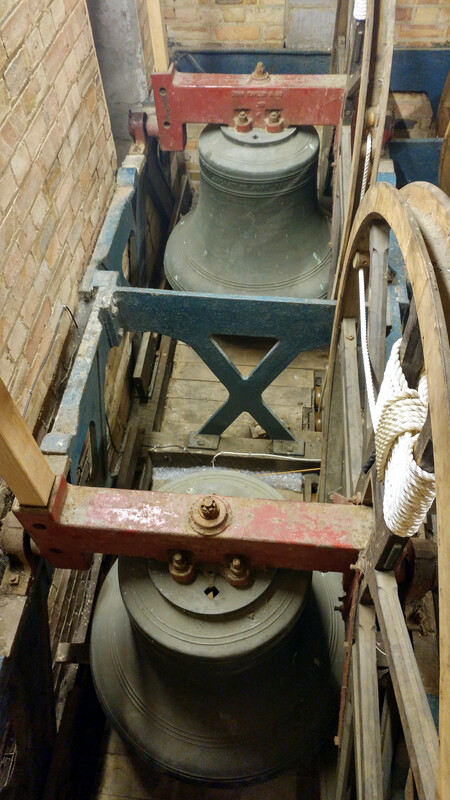 The Sanctus bell hanging as it did in Queen Mary hospital chapel before transfer to the church.